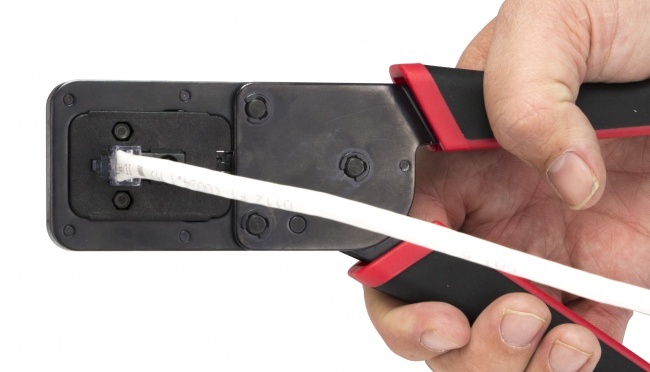 The new ezEX-RJ45™ Termination System provides a solution for terminating larger diameter twisted-pair cables, with conductor sizes up to .048”. 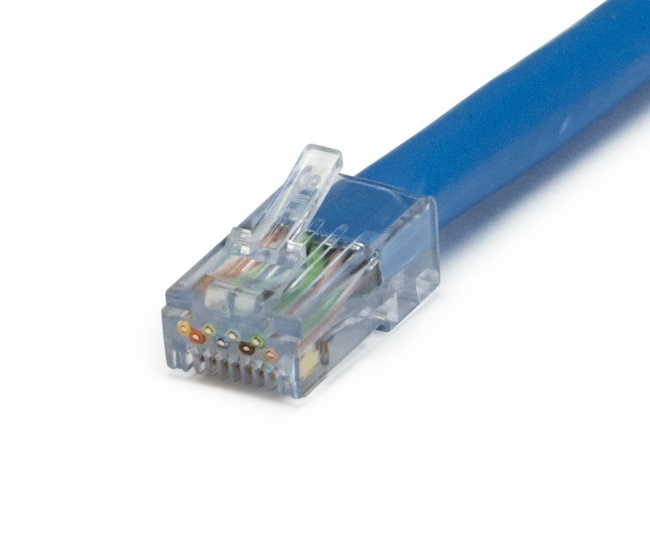 The ezEX-RJ45™ connector has a hi-lo stagger design to increase performance and accommodate larger conductors found in Cat5e, Cat6, and Cat6A cables while maintaining the EZ® pass through design. 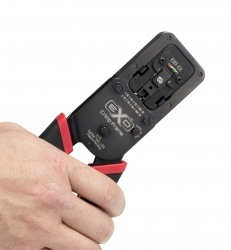 This allows you to verify the wiring sequence before terminating. 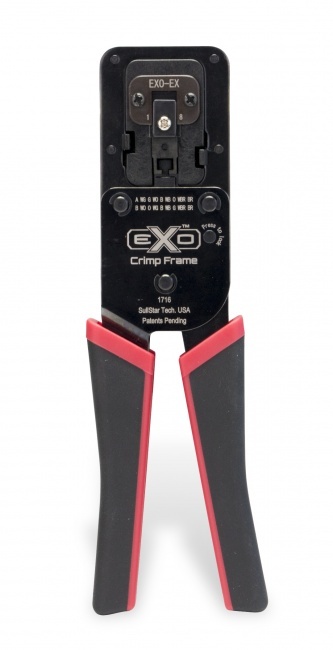 The new EXO™ professional crimp tool and EXO-EX die set pair with the ezEX-RJ45™; connectors to ensure a flush cut and reliable termination every time. Saving time and money without sacrificing performance on high end jobs. 2 connectors for conductors ranging .039" – .048"
ezEX-RJ45™ Connectors. 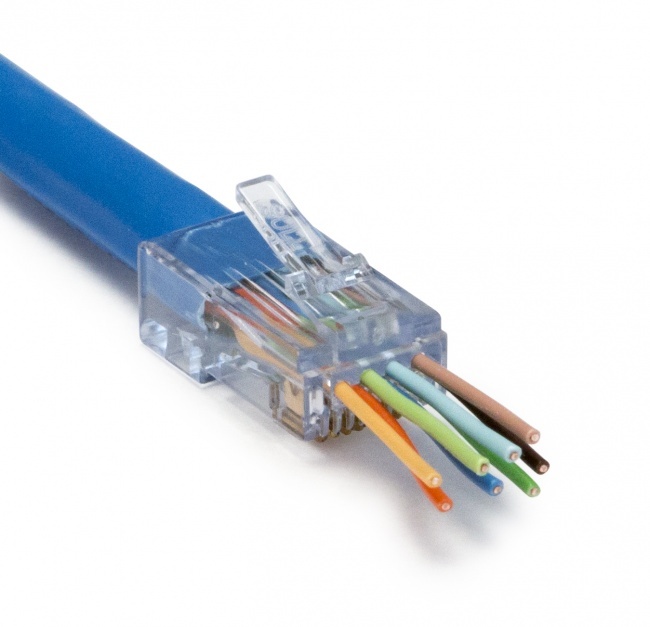 100pc Jar for .039 - .044"
ezEX-RJ45™ Connectors. 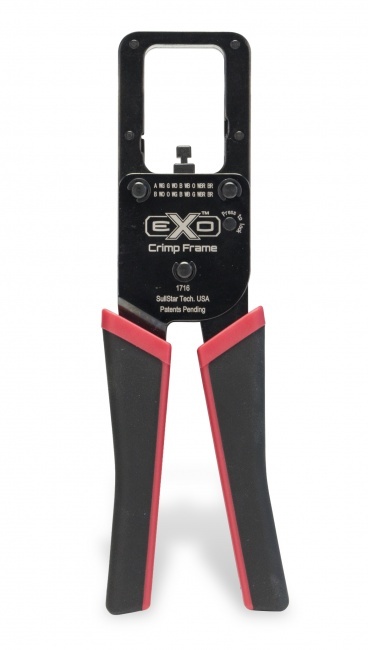 100 pc Jar for .043 - .048"